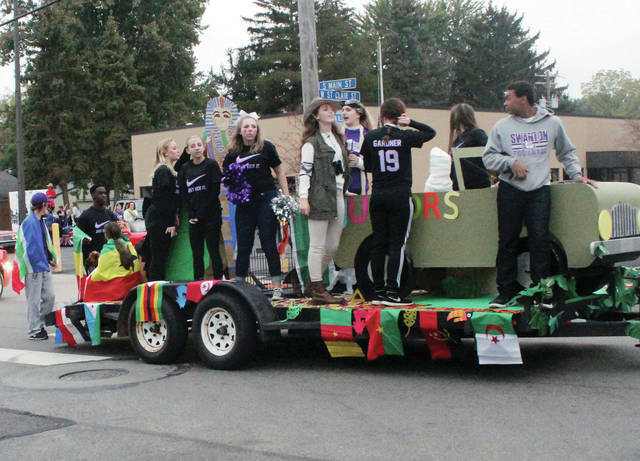 The junior class float in last year’s Homecoming parade. This year’s parade is Thursday. 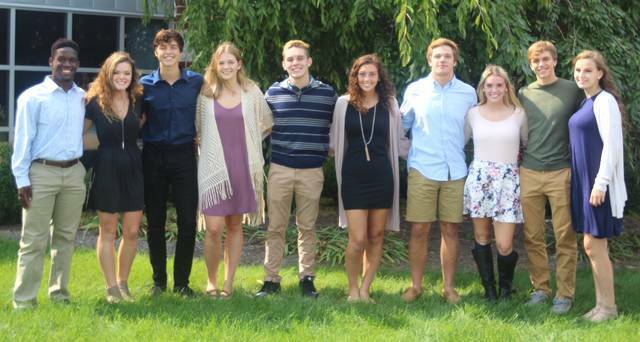 It is once again Homecoming week at Swanton High School and the public is invited to join in the celebration. The annual Homecoming parade will be held Thursday beginning at 6:30 p.m. It will begin at the Fulton County Eastern District Courthouse at Main and W. St Clair streets and end behind Fisher Gymnasium on Cherry Street. The theme this year is decades. Floats will have themes of the 1960s, 1970s, 1980s and 1990s. After the parade the Homecoming Court and the king and queen will be introduced. On Friday night, the Bulldog football team will host league foe Patrick Henry in the Homecoming game at 7 p.m. Swanton is looking to end a two game skid. Prior to the game, the parade of cars will begin at 6 p.m. In advance, game tickets are $6 for adults and $4 for students. All tickets are $6 at the gate. The dance will be held Saturday, starting at 7:30 p.m. Tickets are $15 presale and $20 at the door. During the week, students will celebrate with special dress up days. The high school had character day Monday and has tourist day on Tuesday, age day on Wednesday, decades day on Thursday and spirit day on Friday.